Relax in comfort with the convenience of an umbrella, canopy, a built-in cooler and dry storage while you enjoy yourself at the beach. 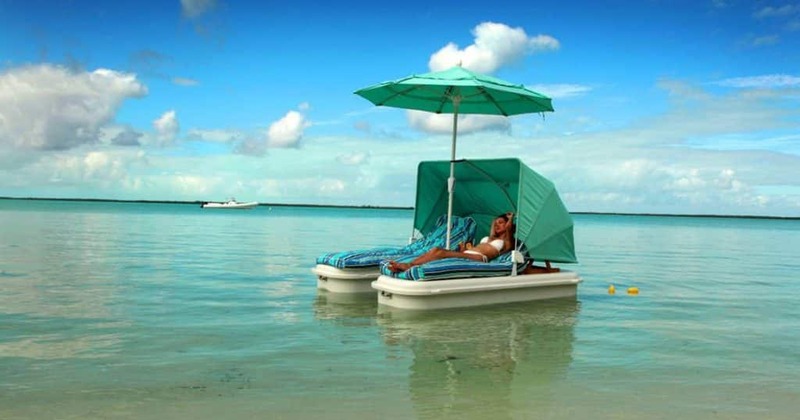 Our patented Seduction Floats℗ are at home on the sand or afloat, securely anchored in shallow water. Relax to the gentle movement of the waves while you are supported by a comfortable Super Schmooze Lounge Cushions™.